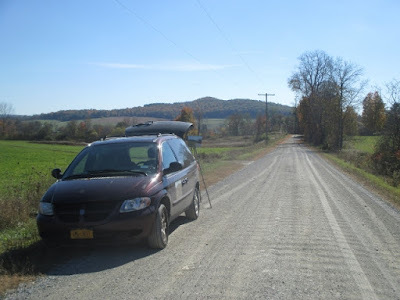 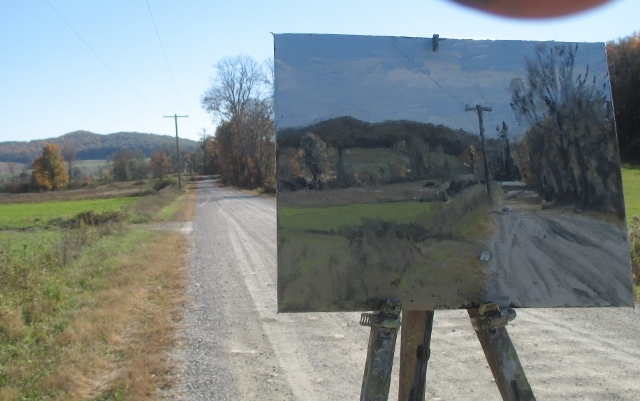 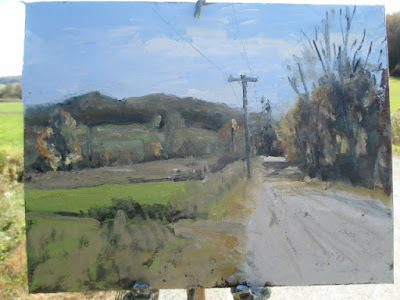 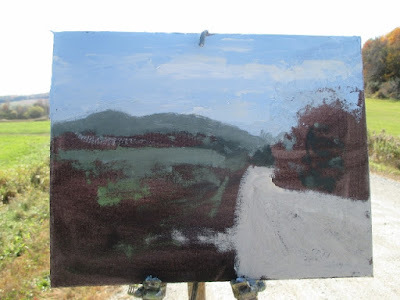 Matt Chinian Painting Blog: McCart Rd.,with friends,yesterday. 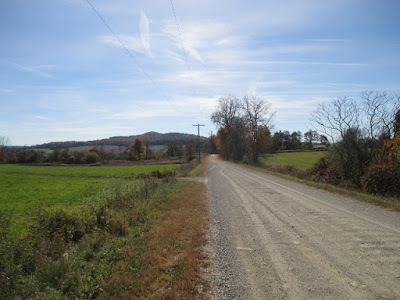 47 F some wispy clouds. This is a quiet composition, the road, the far hill, the telephone pole. I'm starting on a pretty dark tone. 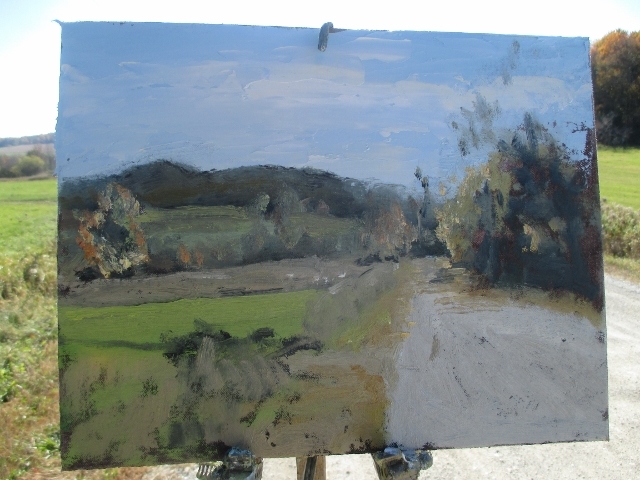 The colors are very muted, but the green of the foreground field wasn't, there were also touches of very bright light yellows on a few trees. 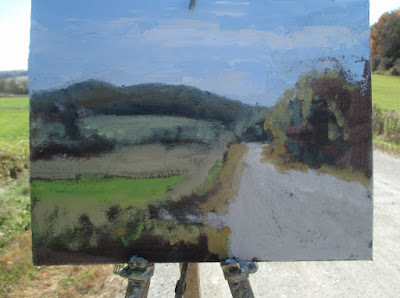 There are almost always bright highlight bouncing off things like grass, or the road, even if they're small. 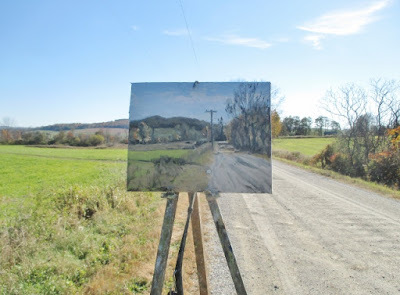 At the same time, a fellow painter and friend, Stella Erlich, was painting just a few hundred yards down the road, she's an awesome person and painter and her web site is here:http://stellaehrich.com/.